I saved this gem of an image from my post about this amazing apartment. I really love this glass compartment coffee table and the overall styling of the image with pops of pink, red and silver against a zebra background of black and white. So eye-catching. 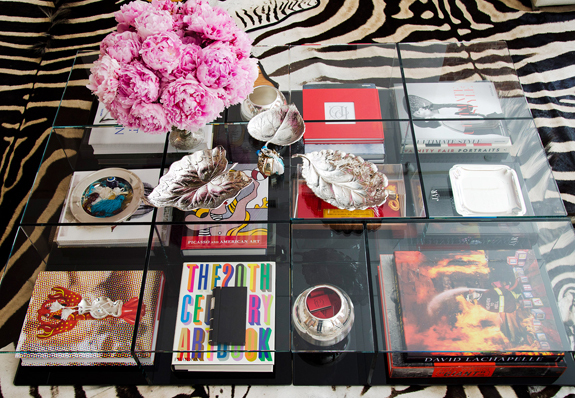 Our own coffee table has see-thru compartments and I adore using it to store and display my favorite magazines. Have a fabulous weekend...see you Monday!